2018 Crime Fiction Contest Winners! Lars Sigurdssen is a retired engineer with degrees in physics, engineering and finance. He occupies most of his time reading, writing and playing tenor saxophone and piano in two local bands. 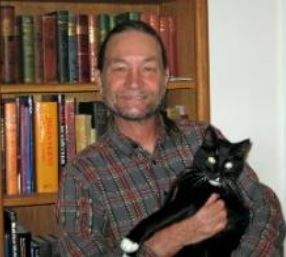 He and his wife, Deborah, and their two cats, Mr. Tibbs and Bad Vlad, live in Northern California where he currently is working on a collection of science fiction short stories and a science fiction novel. "The Man in the Photograph"
Steven Lubliner is the author of the political satire, Threeway, and the memoir, A Child's Christmas in Queens. 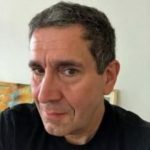 A past winner of a Redwood Writers Short Play Contest, he is a playwright and actor with the Petaluma Radio Players and has had short plays performed by the company, at 6th Street Playhouse, and at the Raven Performing Arts Theater. He is a published poet and a past runner-up in The New Yorker's weekly cartoon caption contest. Jean Wong, author of Sleeping with the Gods and Hurtling Jade, and Other Tales of Personal Folly, is an award-winning poet, fiction, and memoir writer. Her work has been produced by the Petaluma Reader’s Theater, Sixth Street Playhouse, Off The Page, and Lucky Penny Productions. Jean writes from the bottom of a well, always amazed to look up and see the sky. Meta Strauss moved to Sonoma in 2005 from her hometown, Houston, Texas, fell in love with Northern California, and discovered writing. Her first novel, Saving El Chico, was published in 2015. 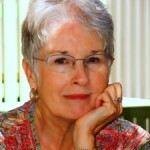 Her work has appeared in Stories for Emma, Sonoma Sun’s Fine Art Section, and in anthologies From Hurt to Hope and Sonoma Writer’s Alliance Volume I. She is currently writing a series of short stories and the sequel to Saving El Chico. 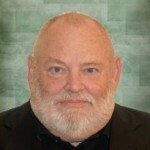 Roger C. Lubeck, Ph.D. is the president on the Redwood Writers board of directors. He was the editor on four anthologies and a memoir. Roger’s published works include articles, poems, short stories, seven novels, two business books, and a 10-minute play. His most recent book, Ghost in Horseshoe Cayon is a modern crime novel set in Utah. Roger is working on two new novels and a screenplay. Adam Donaldson Powell is a multilingual author, literary critic, art photography critic, and a professional visual artist. He has published several literary books, including collections of poetry, short stories, and novellas, two science fiction novels, and essays. Adam’s book Gaytude, co-authored with Albert Russo, won the 2009 National Indie Excellence Award in the category gay/lesbian non-fiction, and he is the winner of the Azsacra International Poetry Award in 2008. He writes in English, Spanish, French and Norwegian. Josh Darling works as both an editor and ghostwriter of crime and horror fiction. His poems and short stories can be found in numerous anthologies. His debut novel, Hollywood Blackheart, is slated for publication in 2018. Ana Brazil is the author of the New Orleans historic mystery Fanny Newcomb and the Irish Channel Ripper (Sand Hill Review Press). She earned her master's degree in American history from Florida State University and traveled her way through Mississippi as an architectural historian. Ana worked as a technical writer and editor for many years and is now writing historical fiction full time. Ana and her husband live in beautiful Oakland, California. Roger DeBeers, Sr., a former Marine enlisted and U.S. Army officer, has a master's in English and a Master of Fine Arts in creative writing from Goddard College. His varied background as a college English instructor, commercial pilot, flight instructor, remodeling contractor, business manager, single custodial parent, and medical courier lends to the richness of his writing. "Murder is Forever" is his first book.